At the trail head, you'll find a posted map. There are usually maps in the mailbox at the trail head sign too. The trail is primarily single track. The main loop, which is well marked with red hash's on the trees and mile markers, is twelve miles that takes you through a pretty well maintained singletrack. The trail is considered pretty rooty (as described by some who have rode several more trails in this area of SC than I have). I didn't find the trail technically challenging. However, it's a good workout trail and there is enough scenery to keep the ride interesting. There are two (or three) alternative routes that cut the ride a bit shorter (to about an 8 mile ride). These "short cuts" are marked in blue. As I discovered, after a good rain, you'll want to cut the back area of the twelve miles off and take one of the alternative routes, as that area is dubbed "The Amazon Swamp" for good reason. Although the area isn't impossible, the ride is not enjoyable due to deep mud (not to mention how it ruins the trail) It does look as if who ever maintains the trails are looking to remedy the trouble area's by raising the trail and putting down a one foot thick sand base over the worse area's. Review: Flat and a fair number of roots. A few manmade features (eg., teeter-totter) along the way. Overall a good ride. Review: Really fun. The Foster Creek Loop added some real difficulty to it. This is the closest thing to mountain biking this side of Columbia. Review: Road here for the first time last weekend on a new to me Rumblefish I bought locally and wanted to try out. I was greeted at the main parking lot by one of the main maintenance guys from the Fat Tire Freaks. He was super helpful and gave me a recommendation on the ride. They have done a great job with the maintenance of the main trail and seemed to have cut a lot of the roots out that were causing issues. while not technical it is a fun ride. There is only so much you can do with flat land on a Navy base. I plan on riding it again when I am in that neck of the woods. Just keep an eye on the trail conditions as they have a strict wet trail policy. Review: The trail is very rooty, and mostly flat. there is some fun to be had tough. There is a nice "drops" section were there are five 3-4 ft drop offs. 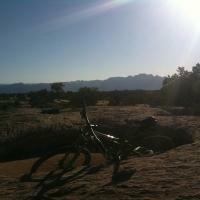 If the rest of the trail is mondane, riding it just to hit the drops would make it worth it for me. Review: Very well kept and fast mostly flat trail. Excellent trail for beginners. However, for advance riders maybe not as challenging although their are technical areas within the Marrington trail system for advanced riders. Review: Trails are monotonous and boring. If any type of technical difficulty is what you are looking for, then look at different trails. In addition to this the trailbuilders have an incredibly poor additude about trail usage. If fun, challenging single track is what you are looking for, then look elsewhere. Review: Good for getting some miles in. Review: Easy ride on well-maintained mostly level dirt trail, which can be shortened from the 12 miles possible. Free to park and ride. Adjacent to military base. Review: Actually it's technically not free to ride as you have to purchase a yearly trail pass from the Weapon Station office. I haven't purchased one in a while but I believe it's $10 for the yearly pass. 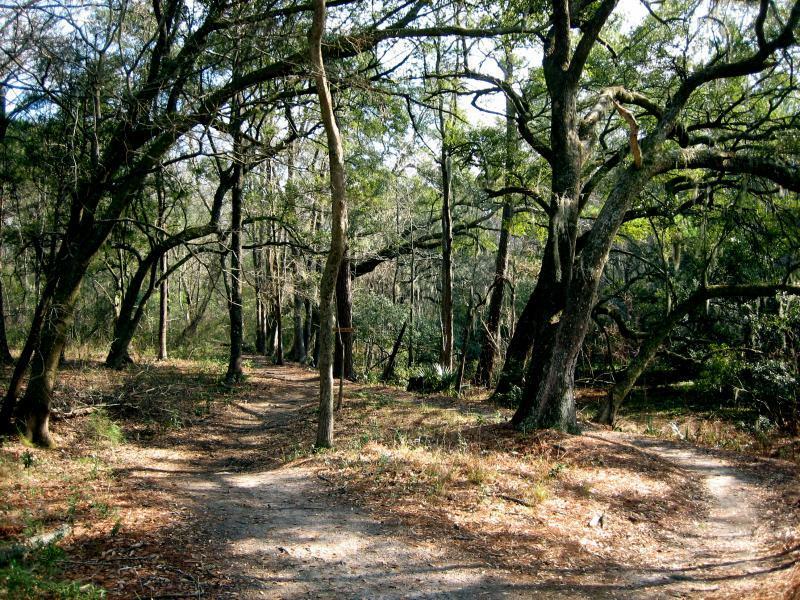 Review: Loved riding this trail system during my time living in the lowcountry! Review: This trail is okay. Youll peddle pretty much the entire time. Not fast pased. Very easy. Technical track could use maintinence. Dont get me wrong it is fun and very beautiful. And for a quick ride close to town its perfect. Marrington Trail MTB Trail 3.74 out of 5 based on 28 ratings. 28 user reviews.